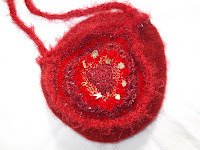 Precious Purl: Workshops are happening! Saturday 25th August 10.15 - 4.15 we are running our very popular Cobweb Felting Workshop again with 1 space still available! UPDATE: THIS WORKSHOP IS NOW BOOKED OUT! We may be able to run another later in the year! 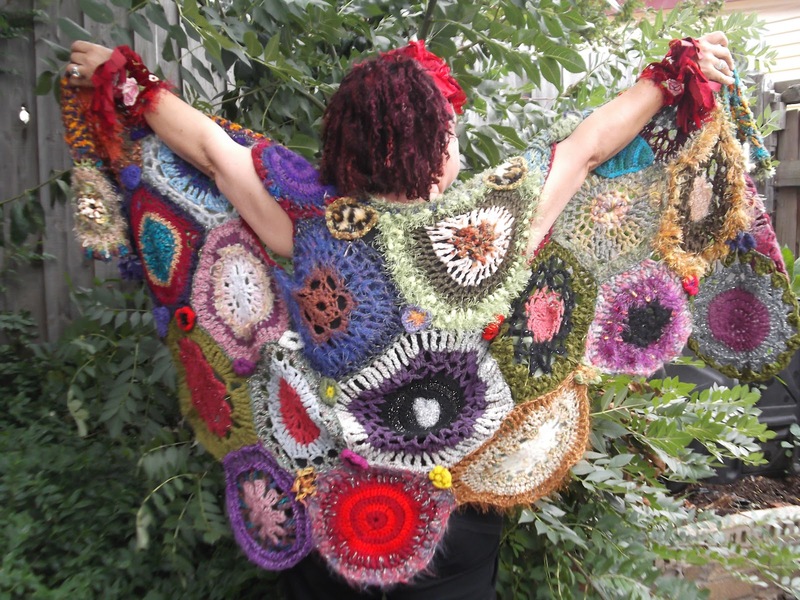 Saturday 8th September 1.15 - 4.15 we have the Artrageous Penny O'Neill, "Queen of Freeform" or "No rules Crochet" and a wonderful user of Recycled materials, coming to entertain us/introduce us to the endless possibilities of Crochet. This is suitable for Beginners or those who have some skill. Some examples of Penny's workshop creations below! UPDATE: This workshop will focus on MOTIFS as in this gorgeous wrap below! These motifs, which are rather like rounded Granny Squares, can be made in any size or yarn and can be joined together to create exciting freeform garments. Penny can answer all your queries about Crochet and this class is suitable for beginners or advanced. Saturday 13th October 1.15 - 4.15 Kriscilla Delaridis, a wonderfully creative member of the Victorian Feltmakers, will run our popular Spring Felted Flowers class again.These flowers have endless applications to hats, bags, brooches or giving that hand crafted touch to your Spring Racing Carnival outfit! Along with hand rolled dreads, these make a gorgeous neck piece! 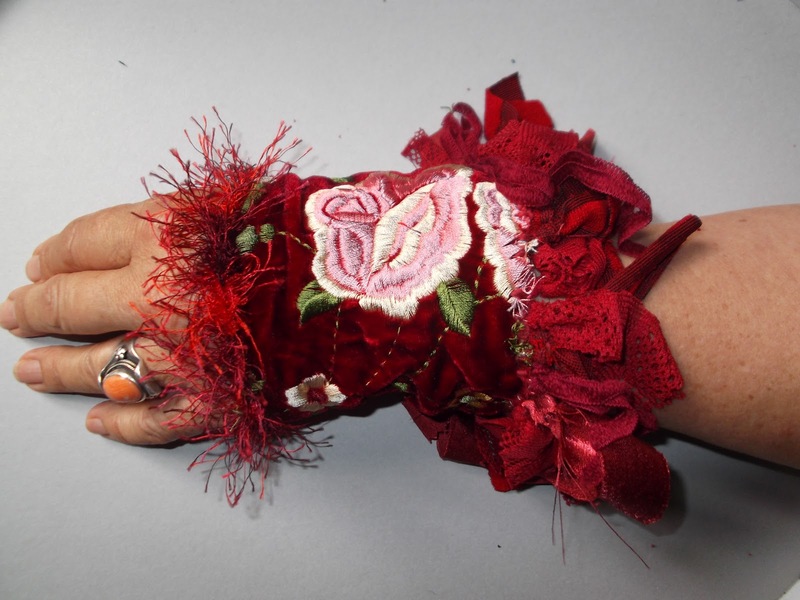 No felting experience needed for this class. 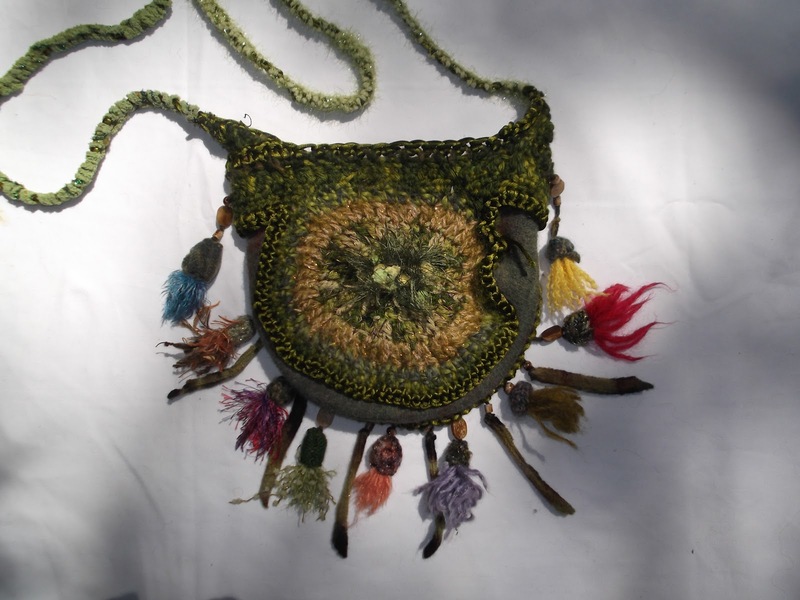 Please phone, email or visit Precious Purl to get all the details for all workshops!